While some beauty products are just there to serve their purpose, others produce an effect, that we just can’t help going back for more. Whether it’s their amazing scent, or the ability to refresh in an instant, here are some products out there that I just can’t get enough of! When a beauty product lets you SEE it working, it’s hard not to get addicted! The Glam Glow Supermud mask, for example, is an addicting detoxifying mask that’s great for oily skin. As it dries, you can actually watch the oilies and impurities as they absorb into mask and out of your pores. 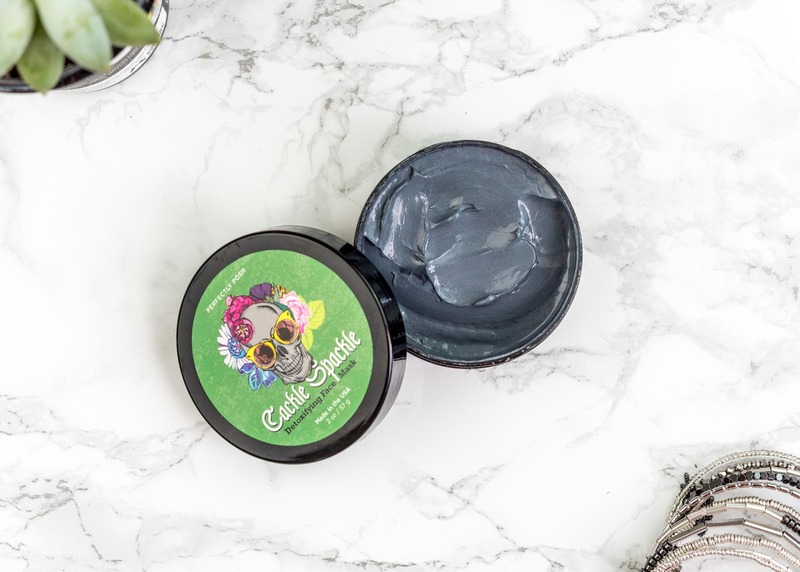 Perfectly Posh’s slightly less expensive Cackle Spackle (shown above) is another amazing one to try! From toning to refreshing our makeup throughout the day, facial mists are my little addictions. They often come in travel sizes, making them easy to carry around with you throughout the day. Current favorites: Farmacy Skin Dew and Little Barn Apothecary Geranium + White Tea Beauty Mist. A good lip scrub works two ways – first it exfoliates the lips, and second, it leaves behind a moisturizing layer. My current favorite is this Pineapple Coconut lip scrub from Perfectly Posh. It uses fine sugar grains to exfoliate, which you can literally lick off when you’re all done! The remaining butters and oils sink in and continue to hydrate. If you’re looking for a fun DIY scrub, check out my recipe for a Mojito flavored homemade lip scrub. 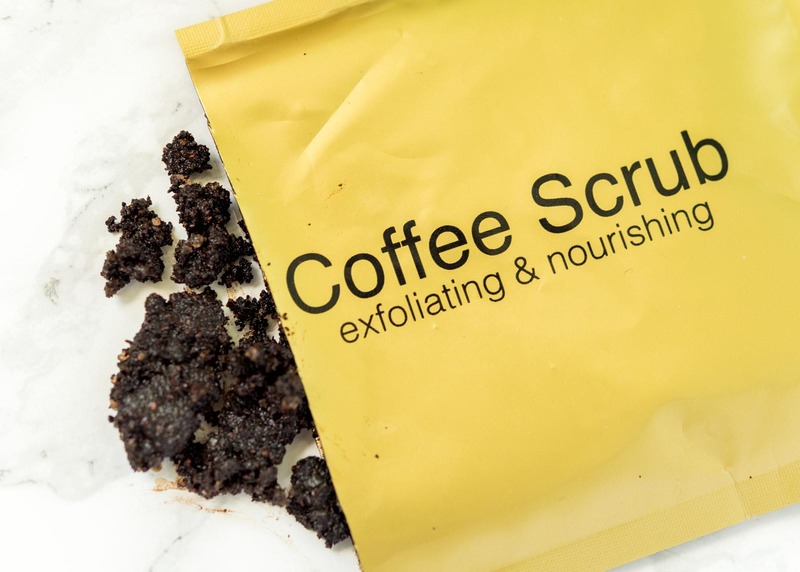 Scrubs are addicting enough, but when you throw the scent of coffee in the mix, they make some invigorating treats during your bath or shower time. Let’s not forgot that ground coffee beans work as amazing skin exfoliators (plus they don’t dissolve after a few minutes like sugar), and are packed with antioxidants. My favorite is the Java Glow Coffee Scrub (it’s loaded with oils that make your skin feel super soft and smooth afterwards). Great for those lazy days, dry shampoos help perk up and even texturize our hair for that ‘intentionally messy’ look. Thanks to Birchbox, I’ve collected quite a few of these. The sure stand-outs that soak up the oilies without weighing down my hair are the Healthy Locks Dry Shampoo Powder from One Love Organics (just sprinkle a bit in your palm, dip in with your fingers, and massage into your roots), and the Amika Dry Shampoo (for those mornings when I need a super quick fix – a few bursts do the trick!). What are some of your beauty product addictions?